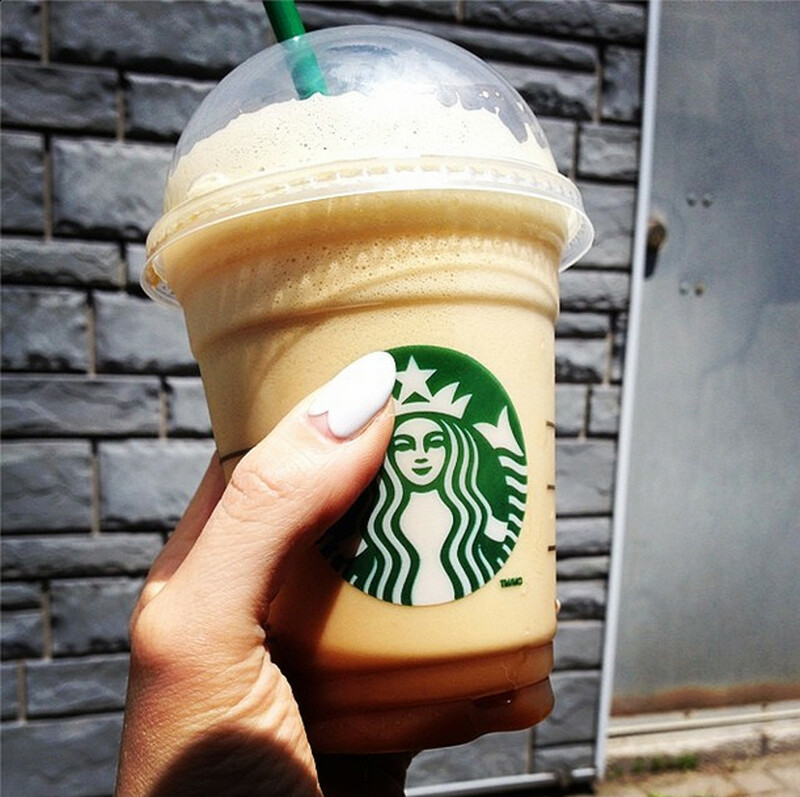 One of my favourite hot-weather drinks used to be a Starbucks iced soy green-tea latte, unsweetened. The Starbucks green tea powder is sweetened already -- it contains sugar -- so the result is still a dessert-esque treat. However, if Google can be trusted, the calorie count is about 300 for a venti. Erk! Instead I now have an iced coffee with milk, unsweetened. 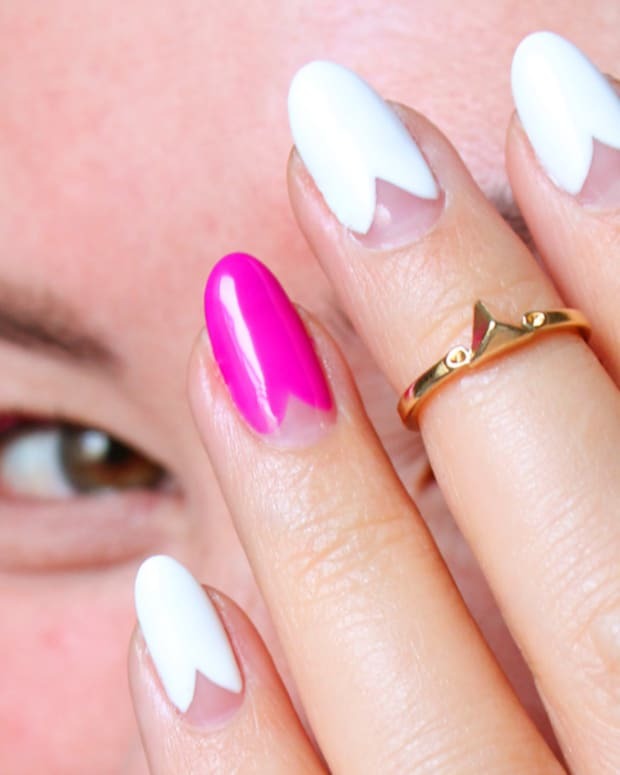 But a new drink option has hit my radar, a Starbucks hack summer drink I spotted on Instagram, and it came with a sweet mani I have to try, too. "Starbucks hack. Order a blended iced Americano w/ a pump of your fave flav (if needed). Cheaper, lighter, waaaay less sugary than a frapp." Sold! Well I haven&apos;t tried it yet, but boy do I want to. If you try it before I do, report back, please! Katherine&apos;s white, scalloped-heart manicure in the Starbucks hack summer drink photo is by Melissa Forrest at Tips Nail Bar. (You may also know her as Canada&apos;s Sally Hansen spokesperson; you can find her on Twitter as @manimelissa). 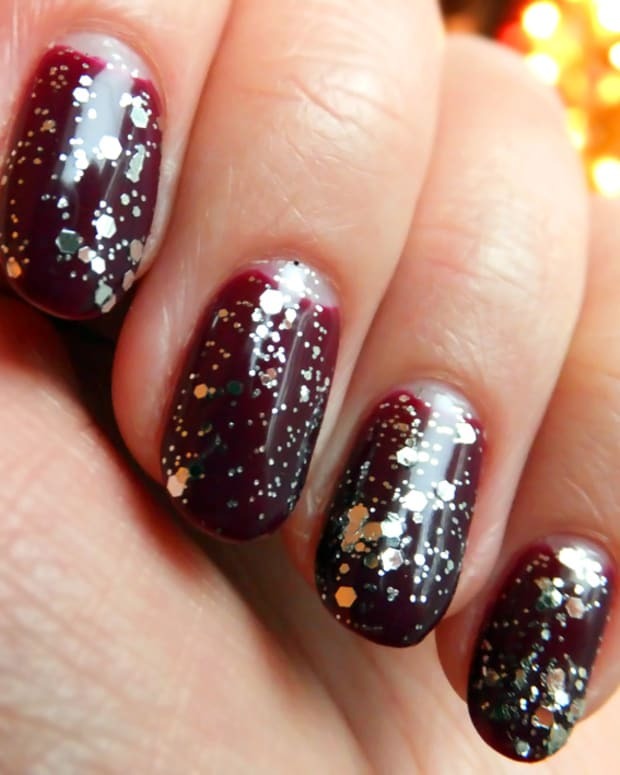 I think I need that mani. I don&apos;t like hearts much -- sappy. But that mani, I can get behind. Here it is again, also from Katherine&apos;s Instagram account, this time from Oksana Fedio, also a Tips Nail Bar team member. Pretty! 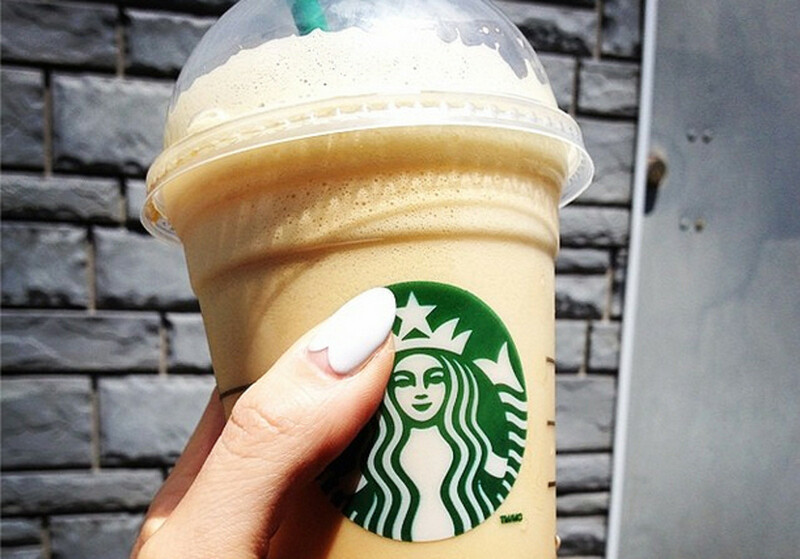 What do you think of the Starbucks hack summer drink? 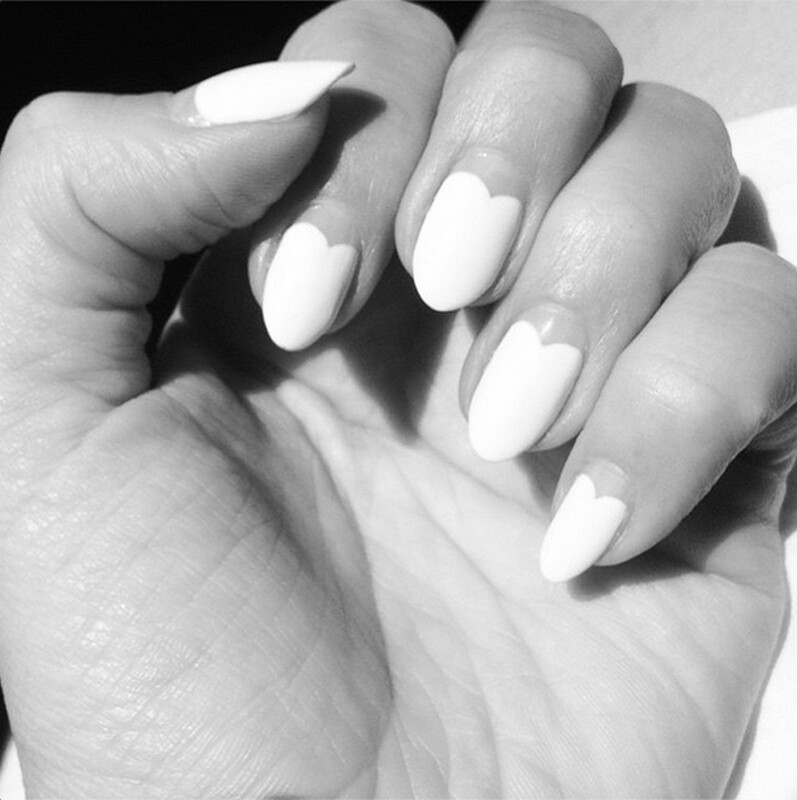 And the scalloped-heart mani in white?